Muse: Electricity. 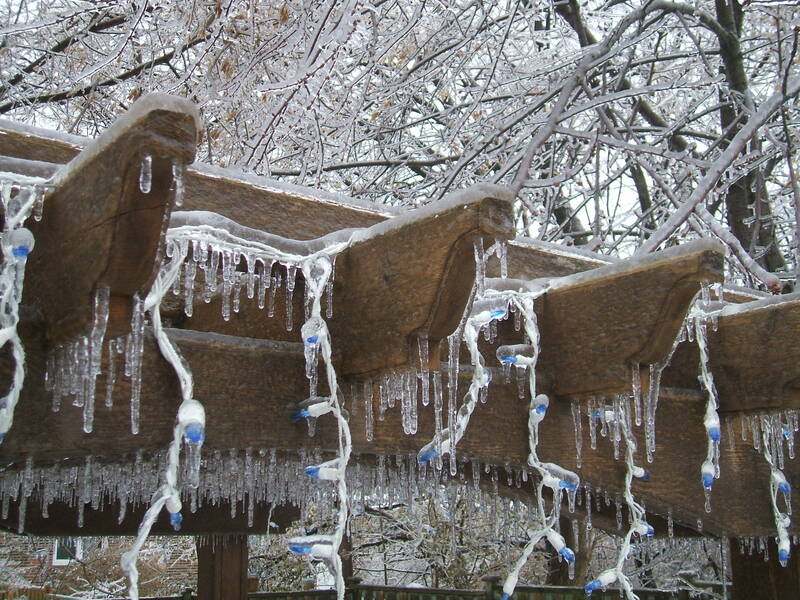 The Perfect Gift After An Ice Storm. Never guessed the best gift I’d get this year for Christmas would be electricity from Toronto Hydro. It’s so easy to take hydro for granted … until you get hit with back-to-back ice storms and have to go 3 days without power. Then you quickly realize if the 40F cold inside your house doesn’t kill you, the boredom certainly will. My hat’s off to the folks at Toronto Hydro for working night and day this entire Christmas week to restore power to 250,000 Torontonians. The only thing worse than living through an ice storm without power has to be working in the cold every day to restore it. This entry was posted in Uncategorized, Weekly Muse and tagged Christmas, electricity, holidays, ice storm, life, music, musings, nature, Ronny Jordan In Full Swing, Toronto Hydro, weather by greg kavander. Bookmark the permalink. I feel ya! We had five days no power….straight through Christmas! We were so excited when the power finally came back on…..but it certainly struck us how many things we take for granted. Like being able to flush a toilet! Hi Valerie. The toilets flushed fine for us in North York but with no fireplace, it got really cold, really fast. Couldn’t stay much past Monday morning. Packed up the cats and headed off to my parents place in Burlington … an early Christmas present for them, I think.